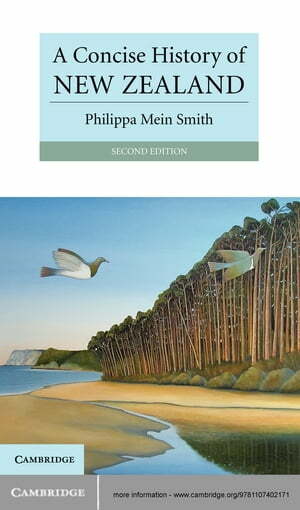 Collins Booksellers - A Concise History of New Zealand by Philippa Mein Smith, 9781107703407. Buy this book online. New Zealand was the last major landmass, other than Antarctica, to be settled by humans. The story of this rugged and dynamic land is beautifully narrated, from its origins in Gondwana some 80 million years ago to the twenty-first century. Philippa Mein Smith highlights the effects of the country's smallness and isolation, from its late settlement by Polynesian voyagers and colonisation by Europeans - and the exchanges that made these people Maori and Pakeha - to the dramatic struggles over land and recent efforts to manage global forces. A Concise History of New Zealand places New Zealand in its global and regional context. It unravels key moments - the signing of the Treaty of Waitangi, the Anzac landing at Gallipoli, the sinking of the Rainbow Warrior - showing their role as nation-building myths and connecting them with the less dramatic forces, economic and social, that have shaped contemporary New Zealand.